My 2-bedroom home is modern and clean retreat in a bustling city. The living space is airy and light filled, with contemporary furnishings, marble floors and floor to ceiling windows. A balcony overlooks the landscaped facilities. The well-appointed master bedroom has a queen size bed and beautiful master bath. The 2nd bedroom has a double bed and TV with cable/DVD player. The entire condo has air conditioning, an important feature in Singapore. There is a small office with high-speed Internet access off the living room. The kitchen has all the amenities including a washer and dryer. I employ a maid who cleans the house weekly and will do so during your stay. My condo is located at The Levelz, a luxury complex, brimming with amenities including: a beautiful lap-pool, full gym, hydromasage pool, tennis court, inviting hot and cold jacuzzi, putting green, outdoor rainforest shower, and 24hour facility attendants. It's a joy coming home and spending time in such a warm and inviting environment. I hope you'll feel the same. Iâm a teacher whoâs lived in Singapore for 3 years. The school calendar has given me the luxury to travel finding new places to explore during my time off. Originally from Northern California, I visit home during the June/July months and would love to spend time in my favorite spots while there. During the Dec/Jan holidays, I'm open to traveling most anywhere. 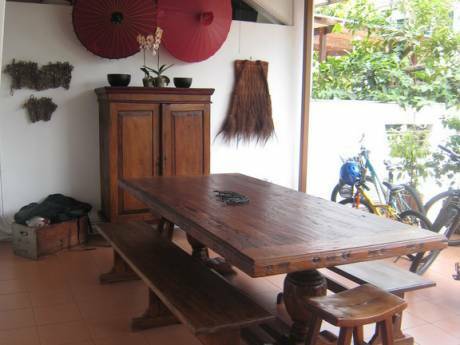 Because I will be away during an extended period in June and July, there is a possibility I could offer my home for several weeks in exchange for a shorter stay in your home. I am neat and reliable and will treat your home with great respect. This is my first experience with home exchanges and I look forward to interesting travel opportunities. 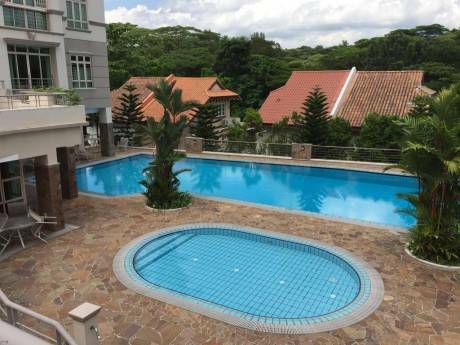 The Levelz is conveniently located between the popular Orchard Road and Holland Village neighborhood minutes away from everything! 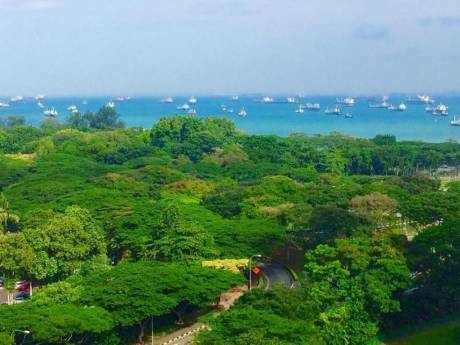 The Orchard Road shops, the Botanic Gardens and MacRitchie Reservoir are within a 5-minute taxi ride. A few minutes more takes you to Chinatown or Little India for a taste of the diverse multicultural nature of Singapore life. Our compact city is ideally located for traveling. With first rate Changi Airport offering reasonable and quick flights to Thailand (1.5 hrs), Bali (2.5 hrs), Vietnam, Cambodia and more!